Momentum Dance Studios have been providing dance education and performance experiences for children and teens for over 15 years. Promote a balanced and enjoyable approach to dance training for children & teens. Momentum Dance Studios was developed at the University of NSW by Dance Education Graduates. Their aim to provide dance schools which operated in a professional manner by qualified dance teachers has been enjoyed by hundreds of dancers across Sydney since 2004. Now operating exclusively in the Sydney Hills District, the school is under the sole directorship of Natasha Swan and continues it’s tradition of providing dance education and performance experiences. As a dance school owner and parent, Natasha is a passionate advocate for child safety issues in the self-regulated dance industry. Special care is taken to select qualified and experienced dance teachers with their credentials openly published for parents to view. The school has published it’s Child Safety Policy for many years, and continually evaluates it’s best practice standards so it can provide the optimum environment for children and teens to enjoy dance. 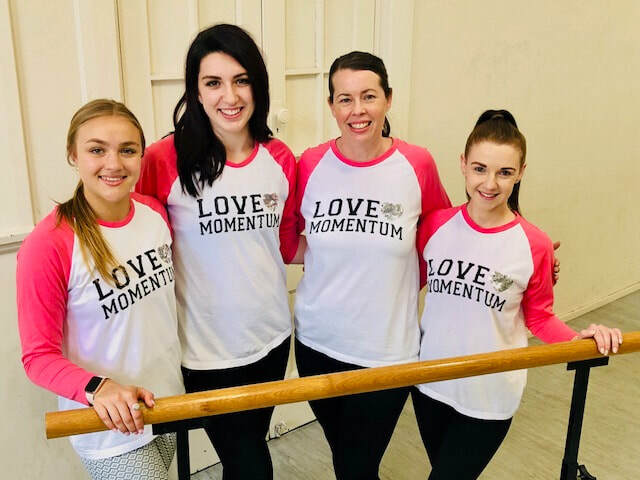 We warmly welcome you to come and visit the studio and meet our Teaching Team at Momentum Dance Studios Baulkham Hills.